This training will develop assessment skills necessary when working within the context of the Clinical Services and Private Practice. Participants, who have been qualified for a minimum of 5 years, would have the opportunity to apply to join our team of Assessors at the bpf Clinical Services following successful completion of the training. 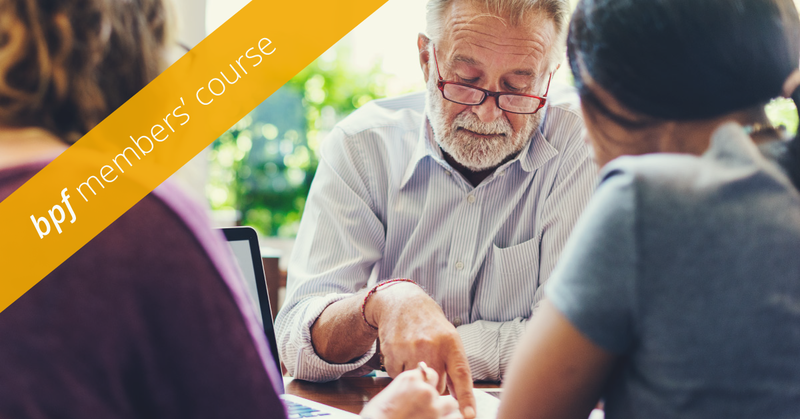 This training in assessment skills would be suitable for bpf members who wish to develop their skills in this particularly interesting area of work as well as recently qualified bpf members. We will be providing relevant reading material which will include anonymised examples of patient questionnaires and assessment reports to aid our group discussions. Saturday, 30th March 2019 10am – 4.30pm – lunch will be provided. Total of 10 seminars, one assessment and two meetings – one prior to assessment and one post assessment with an Assessment Supervisor (the fee for these meetings - £60 for each meeting - will be paid directly to the Assessment Supervisor). You must be a qualified bpf member. On offer of a place, you will be invited to register and pay via debit card through a secured payment page before 1st March 2019. To book a place on this Assessment Skills Training, please click here to register and pay. Reading material will be sent to the participants prior to the training. The building has limited access - please call us on 020 8 452 9823 to discuss your needs. To book a place on this Assessment Skills Training or for further information please contact Louise Woodhead at louisew@bpf-psychotherapy.org.uk or clinicalservices@bpf-psychotherapy.org.uk or contact us on 020 8438 2414 or 020 8438 2415.